Now, 10 years later, much material has been made available to the American public which sheds light on what the CIA had been hiding for 40 years. This new information is the result of the U.S. Congress passing the 1993 “JFK Records Act,” which mandated the full release of all government files relating to the assassination of President Kennedy and created a civilian Assassination Records Review Board to oversee this process. By the time the Board’s work was completed in the late 1990s, 6 million pages of documents had been made available to the public in the National Archives. Arguably, the most startling information so far brought to light by the release of these intelligence records is the CIA cover-up relating to Oswald’s visit to Mexico City. The news of this impersonation and the link to Kostikov, learned within hours of President Kennedy’s assassination, electrified top government and intelligence officials and dominated their discussion in the immediate weeks following the assassination. It also became during the next 40 years one of the CIA’s most closely guarded secrets on the Oswald case. 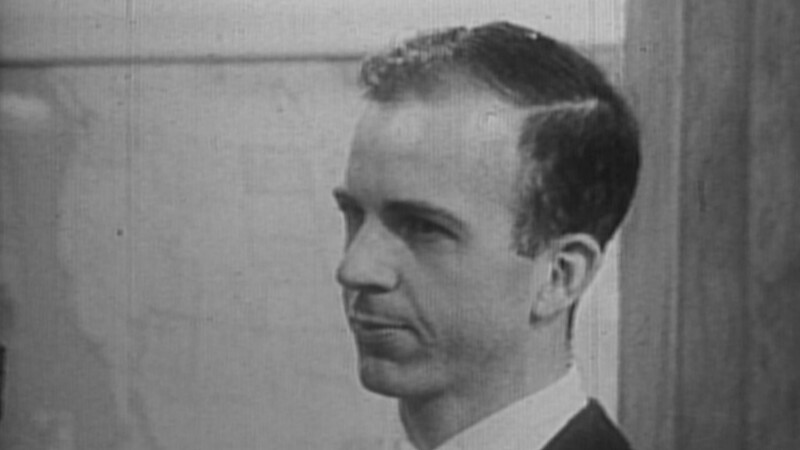 After President Kennedy’s assassination, documents show that the Agency created two more false stories in connection with Oswald’s Mexico City visit. The first cover story was that the CIA’s tapes of the phone calls had been erased before the assassination. The second cover story was that the CIA did not realize Oswald had visited the Cuban consulate until they looked into the matter after the assassination. The cover-up was apparently put in motion the day after the assassination by Anne Goodpasture (unless someone else altered the cables she sent after the fact) in the CIA station in Mexico City. But it was a sloppy coverup. Files released in the mid-1990s show she sent a cable at noon (1pm EST) on Nov. 23 stating that a voice comparison (between two intercepted phone calls) had not been made at the time of Oswald’s visit because one tape (presumably of the Saturday, Sept. 28 call)5 had been erased before another had been received (presumably from the Oct. 1 intercept ). It was unlikely this would have happened, however, as tapes were kept for at least two weeks before erasure.6 It was necessary to deny that a voice comparison with the Cuban consulate tape had taken place, in order to facilitate the cover story that the station had not realized that Oswald had visited the Cuban consulate. But Goodpasture’s cable only ruled out a voice comparison at the time, and left unresolved the issue of what tapes had survived.7 So, at 2:37 EST the following day, Sunday, Nov. 24, Goodpasture sent another cable saying all the tapes had been erased. Newly released internal CIA documents from the weeks following the assassination reveal that another copy of the October 1 intercept was found at that time,11 and that “the actual tapes” were reviewed.12 Furthermore, the Assassination Records Review Board also verified that in 1964 two Warren Commission attorneys, Coleman and Slawson, had traveled to the Mexico City station and listened to the tapes.13 There is no mention of this in either the Warren Commission’s 26 volumes or its final report. If the recollections of all these people are correct, the record has been altered.19 When I showed the documents to Helms in 1994, he agreed it was obvious the CIA had known at the time, and he opined that the reason for the cover-up was to protect the Agency’s sources and methods. While perhaps true, this appears to be only part of the answer. Recall that in its Oct. 10, 1963 response to the Mexico City station, CIA headquarters had feigned ignorance of Oswald’s Cuban connections in Dallas and New Orleans. This was six weeks before the assassination and an internal matter unconnected to any post-assassination jitters. The operational reason for this deception has yet to fully come to light. Could it, however, have been connected to a clandestine operation that the SAS (the CIA’s Special Affairs Staff for Cuban operations) was running? A document supporting such a theory is the CIA memo sent to the FBI on Sept. 16, 1963 –the day before Oswald obtained his permit to go to Mexico.20 The Agency said it was considering countering the pro-Cuba “Fair Play for Cuba Committee”(FPCC) activities in foreign countries by planting deceptive information to embarrass the FPCC in areas where it had support. Such an operation against the FPCC would have been the responsibility of the SAS. Given Oswald’s activities on behalf of FPCC that had been reported in newspapers, did the SAS have advance knowledge that Oswald would be paying a visit to the Cuban consulate in Mexico City? 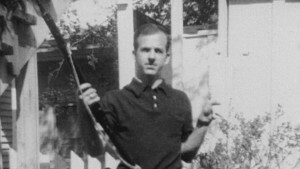 Shortly before Oswald arrived in Mexico City, the incoming FBI reports to the CIA about his activities in Dallas and New Orleans were not put in his 201 file (the one where all previous FBI and State Department reports on Oswald had been filed), but were diverted into another one – a FPCC (100-300-11) file. Agency components in possession of these files during Oswald’s trip, and at the time of the exchange of information about it with headquarters, included the Operations section of the Counterintelligence Staff (CI/OPS) and the Counterintelligence section of the SAS (SAS/CI). It was these components whose equities were most on the line when Oswald was publicly accused as Kennedy’s assassin. As the documents show, the intelligence cover-up on Oswald and Mexico City was real. The question is, why? The impersonated phone call linking Oswald to Kostikov and the visit to the Cuban consulate certainly raised the possibility that Oswald not only had not acted alone, but was in the employ of Castro and the Kremlin. And, if this were the case, then the CIA and FBI, by failing to act for six weeks upon the Oswald-Kostikov link, might possibly have doomed President Kennedy. Thus, it was a situation suggesting diverse motives for a cover-up — from protecting sensitive sources to hiding incompetence and even preventing a nuclear war, a nightmare scenario that gripped the White House within hours of the president’s murder. But for the lone-assassin scenario to stand, the Mexico City evidence at CIA — the tapes of the impersonation and some cables — had to be destroyed or altered. The problem was that news of the impersonation was spreading. The staff of the Mexico CIA station and others at headquarters such as Richard Helms and George Kalaris (in their various memoranda and testimonies during the years after the assassination) would have little reason to contradict the record unless the record is untrue. Lies, as Hoover observed in that scolding note regarding the CIA to his subordinates, were told in the days after the assassination. As much as to protect sources and methods, these lies appear to have been invented to buttress the lone-assassin story — itself ostensibly created for the purpose of preventing war and saving millions of lives. Whether or not this also permitted conspirators to avoid the scrutiny of investigation — a possibility I take seriously — is something we will continue to debate. While many of the pieces of this story became evident from the early 1993 and 1994 releases of documents to the Assassination Records Review Board, the daunting contours of the Mexico City story and the ensuing national security cover-up were not apparent until the late 1990s when the work of the Assassination Records Review Board was completed and earlier documents, which had been heavily redacted, were released in full. Looking back over the 40 years since this case began, three things stand out. First, while cover stories may achieve their objective in the short run, they undermine public confidence when the truth comes out — as it inevitably does. Second, releasing the records to the public is the first step toward restoring that confidence. 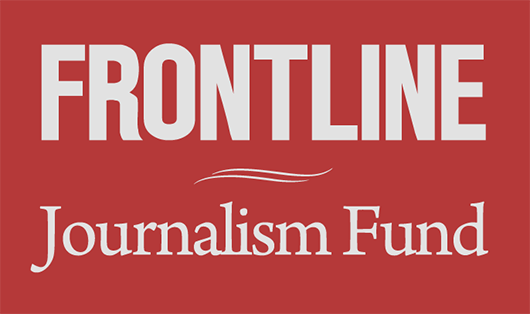 FRONTLINE’s documentary, my book, and this article would not have been possible without those records. Finally, with 6 million pages added to the National Archives on this case from the Review Board’s work, we need to be patient and temper our inclination to want all the answers right away. We need a small army to read, analyze, and interpret what is now rightfully ours and what remains to be discovered of the historical record. For while the 1990s’ release of intelligence files was enormous, there are still some records that are missing – for example, Oswald’s Marine Corps G-2 files and some of the FBI files in 1959-60. They remain classified and might provide useful information.